Our healthcare system is working Nurses to death, and is not doing much to improve the situation. A recent survey by Career Builder reports that 70% of Nurses feel burned out in their current job, and 54% rank their stress level as high. While many say that burn-out comes with the territory, much of it can be avoided with some help from administrators and facilities. Their desire to cut costs adds unnecessary pressure on Nurses, making room for medical errors and decreased quality of care. Our healthcare system has now become one that wears down Nurses faster than ever, and it doesn’t look like it’s going to improve anytime soon. Isn’t it unfair that Nurses are forced take on this extra burden? Isn’t it disappointing that most Nurses choose this career to help people, but are instead forced to offer lower quality of care to their patients because they are overworked? Nurses deserve better than this. Luckily, they now have options. While the extra workload being placed on Nurses is mostly the fault of facilities and their cost cutting practices, there are some other outside influencers involved. It’s no secret that facilities are guilty of cutting costs by keeping as few Nurses as possible on a shift. They are also guilty of pressuring staff to rush patients out the door as soon as possible. In a way, facilities are forced into this practice because Medicaid and insurance companies pay a flat fee for a diagnosis. It would make sense that clearing out as many patients as possible would create a slower and less stressful shift for the on-duty staff. But, many organizations don’t keep the full staff on duty if the demand isn’t present, keeping the remaining staff overworked. Some organizations are simply understaffed and are having trouble finding new Nurses. This so-called Nursing shortage is another situation where facilities are at fault, but not completely. While many facilities keep costs down by hiring younger Nurses instead of more qualified and experienced Nurses, this practice forces them into a situation where their experienced Nurses retire, and nursing schools cannot keep up with the demand for new Nurses. There are only so many spots available in nursing schools, and they are having to turn away highly qualified applicants because there simply isn’t space. In the end, facilities are taking advantage of Nurses, affecting the quality of care for patients, and placing a heavy emotional burden on the Nurses. The Career Builder survey found that 50% of Nurses feel tired all the time, 35% have sleepless nights, 33% experience weight gain, 32% feel high anxiety, 32% feel aches and pains, and 19% experience depression. Even with these clear signs of work overload, not much is being done to combat the problem. An astonishing 78% of Nurses say that their employer does not offer assistance with managing stress. Based on these statistics, the prolonged periods of stress can obviously have a major detriment to the health of the Nurse. The high stress levels for a long periods of time can directly affect the quality of care for the patients, allowing more space for mistakes and medical errors. Even though management is at fault for the understaffed and unreasonable conditions, they will still sanction the Nurses for their mistakes, sometimes damaging the Nurses license and career. While Nurses knowingly put their health and careers at risk for the sake of other, they can’t do it forever, and will eventually hit a wall. The good news is Nurses are beginning to understand that it is up to them to improve their working conditions. There are many Nursing career options that can continue to offer the satisfaction of helping others, while improving working conditions. The Career Builder study says that 30% of the surveyed Nurses are getting more education or a certification to expand their Nursing expertise. There are [many areas where a Nurse’s medical expertise is valuable], and Nurses are finally beginning to understand that. One area where the Nurse’s medical expertise is very valuable is in the legal field. Any legal case involving medical records needs a medical expert to analyze and interpret those records, and who better than a Nurse. This is a great option because Nurses can work these cases for supplemental income while still working another job, or they can take on a full-time case load if they wish. 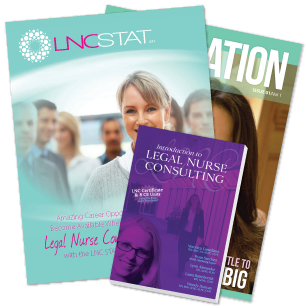 You may have heard of the profession of Legal Nurse Consultant, but a lot has changed in recent years. There are now much more comprehensive training options that show Nurses exactly how to make money reviewing medical records in legal cases. Higher success rates are common from these comprehensive courses, and Nurses are earning great income at their own pace and on their own schedule. Nurses are the backbone of the healthcare industry, but they are obviously being taken advantage of by their employers. After sacrificing their physical and emotional health for the welfare of their patients, Nurses should be receiving much more respect. They must know that they deserve better, and it is up to them to take the initiative to protect themselves and improve their career.